When a person celebrates a birthday, they often receive gifts, eat cake, and spend time with friends and family. After all, it is intended to be a happy occasion as the person marks another year of life. But what the heck does a Linux distribution do to celebrate a birthday? In the case of the excellent KaOS operating system, the answer is simple -- release an updated ISO. Yes, as a way to mark the 5th birthday of the KDE-focused distro, version 2018.04 is now available for download. 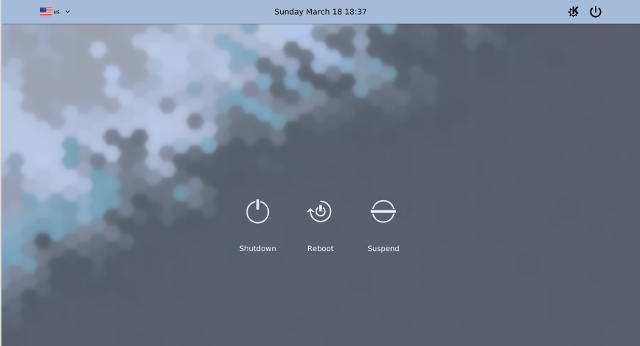 You get Plasma 5.12.4, Linux kernel 4.15.7, Libreoffice 6.0.3, and more. "It is five years ago this month that KaOS started, a nice way to commemorate is with releasing 2018.04. This ISO has a complete redesign of the Midna theme for 2018. Some 2,500 new icons in use, rewritten sddm login theme and a KaOS community selected new wallpaper (created by Jomada)," says The KaOS Team. The team further says, "Also new is KaOS' creation Croeso (Welsh for welcome) for helping with configuring a new install. It will run on the newly installed system and offers to adjust some 15 commonly used settings and replaces the formerly used, PyQt based first run wizard Kaptan. It also includes a custom Wallpaper selector, distribution info, and news. It is written in QML and fits well with the Welcome application used in the Live system. The latter now includes a fully rewritten (also in QML) Installation Guide." The KaOS Team shares the following significant package updates. 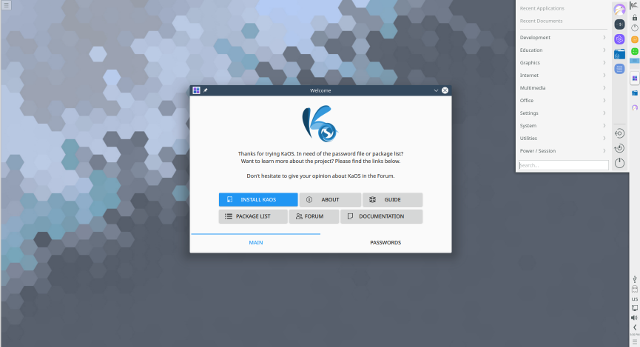 Ready to download KaOS 2018.04? You can get it here. Before you install it, however, you should know about a very significant bug -- the installer is incompatible with RAID storage drives at this time. Since this is a rolling release, current users do not need to download the ISO -- unless they want to create up-to-date media for future installs.